Fighters Pictures not included (Link in the Help file). Replace them easily with yours via smart object. 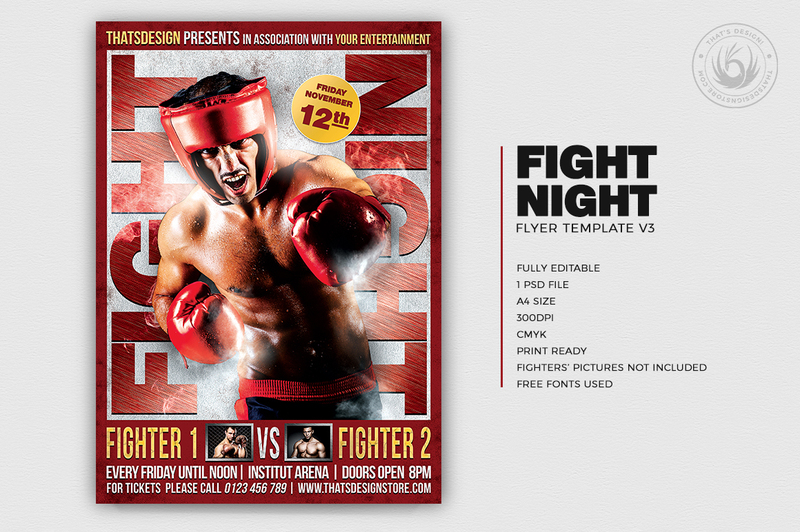 Check out this premade Fight Night Boxing Club Flyer Template 3. 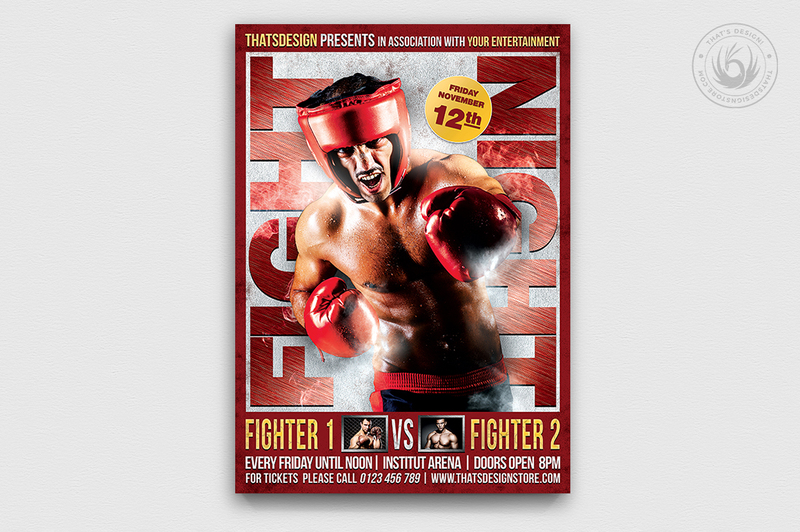 You can use it for any boxing competition or tournament Customize your Photoshop Box flyer template easily.